Honestly, the amount of bugs I've experienced with this is pitiful. Out of over 200 plugins i run, this one is easily the hardest to keep working. End portals locking people in the credits, worlds not linking, end portals not functioning, end portals dropping people in the void, nether portals not creating destination portals, nether portals killing players. The list goes on. I hate to leave a "harsh" review, but this is simply just me summing up my experience with the plugin. been using this plugin for years and have never had any of these issues. did you ever consider that one of your other 199 plugins is causing conflicts? does this work in 1.13.1? Hi. I have created two worlds: survival0 and survival0_nether. I have linked them with Multiverse Nether Portals. When I go through a portal in Survival0, I can spawn in invalid (deadly) locations in the nether. Not only that, but a "destination" portal does not generate in Survival0_nether. So, my problem is that a portal does not spawn in the nether when I go through one in the overworld. The same is true in the reverse direction - a portal made in the nether does not spawn in the overworld when I go through it. I have tried reinstalling both Multiverse Core and Nether Portals, linking and unlinking the nether, deleting the nether world and making a new one, and restarting the server multiple times. I was using this system without issue until it just decided to bug out for no apparent reason. i think the portal generation is a setting in the multiverse config if i am not mistaken. there are lots of world behavior settings in there. re: unsafe spawning- whenever you generate a new world also make sure to /mv setspawn at a location of your choice in order to ensure proper respawning. Its great to have a nether portal for more then one world, but I have some issues with the way they work. With a normal world nether portal the coordinates of the over world divided by 8 is where you should put your portal in the nether, you don't need to worry about the Y coordinate because it puts you in the safest spot "inside" the nether's bedrock automatically. 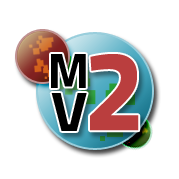 With MV you get one automatic world with this functionality but with not others (they just simply go no where), while using this plugin you get more nether worlds but they function differently. I happen to be building a city in the sky (not sky block) and when I build a nether portal up there, this plugin brings me to the nether (does not create a portal behind me) and puts me at the same Y coordinate as the overworld. In survival, that is a huge issue. It spawns me above the bedrock top of the nether so high up that I could never survive the fall. This just doesn't work for what I want to do. Besides, what if I teleport above lava? Lets not try that. If I build a portal down below the bedrock "inside" the nether I will still appear below my base instead of in it (some times in the ground). If I build a portal at where I came out, "outside" the nether bedrock, I don't teleport back to the portal but rather a few blocks away(some times off the edge of my base, its a bit random). This can be mostly solved (in creative) with the Link command but that is just not logical, I can't just give commands to people in my server willy nilly or go and fix everyone's portal issues. Even if I did give them the command most newbies would have troubles figuring out how to make it work for them. This plugin acts as if the MV safe teleport is turned off, there is also no settings in the config, just listed worlds. I'm having a similar problem... A have a custom world, and a matching world_nether to go with it, but for some reason when my players enter portals in the overworld it spawns them at the same Y-coord in the Nether... this is obviously a problem. Anybody know the fix? As weird as it sounds, even though this plugin is advertised as working with CraftBukkit, im able to get it to work on spigot 1.11 (with some issues of course) but im sure I can figure those out. I love this plugin, right now i have 6 worlds and the server is going without any lag. But i have one problem when im using Multiverse Nether Portals, if i trow items and push a mob thru example a nether portal the item and the mob disappears. Anyone else have this problem and have anyone solved it? There is a bug where when ever I open a Creative inventory or a chest I get teleported to my Survival world. if you could please help that would be great. Any update on when this will be fixed? or even if it will? Brings up a security warning so im not going there..
What is it and how does it answer my question?